In the world of home brewing there is a vast array of different options that one can use to brew and ferment their beer including brew kettles, fermenters, bottles, and more. The quality and style of a piece of brewing equipment can be a determining factor in the quality of beer. Because of this, a home brewer needs to take special precautions and assess the equipment before purchasing. With that being said, home brewing over the years has expanded to feature some of the best pieces of equipment, sometimes even up to brewery standards and status. One of the latest additions to the home brewing world that was previously reserved for larger operations is a conical fermenter. 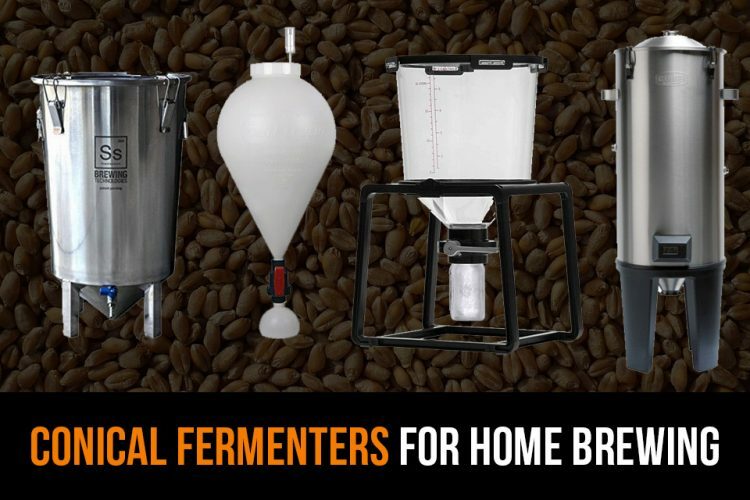 This style of fermentation equipment can definitely improve the home brewing experience on many different levels. Conical fermenters are cone-shaped at the bottom while retaining the cylinder shape top with a valve placed at the point of the cone. This unique look is different than the typical home brewing fermenters that have a cylinder shape with a flat bottom. One thing to seek out when buying a conical fermenter is most come with built in stainless steel thermowells which makes it easy to monitor the wort temperature during the fermentation process and enables brewers to closely manage their fermentation temperature accordingly. Some also come with options of both heating and cooling temperature controls enabling brewers to be precise in the fermentation process and brew up some of the best brews in the neighborhood. There can be a pretty large difference in cost among the different styles of conical fermenters, so we gathered a list of our top picks of each type and price range (entry-level to advanced). BrewDemon is an awesome choice for entry-level homebrewers or those looking to brew up smaller batches. The plastic is pretty light, so it definitely won’t last quite as long as a heavy duty stainless steel rig, but for the cost you get an incredibly well-designed fermenter with quite a few features. 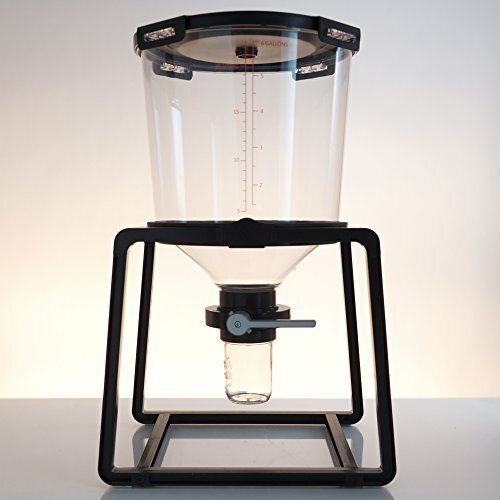 This conical fermenter also comes with a stick-on temperature gauge and an adjustable flow spigot for bottling or transferring (early reviews of this product complained of the spigot breaking easily, but they have since improved this by including a heavier duty one). In addition, they market the product as not needing an air lock, but we do encourage using one anyway. This is a big step up from the BrewDemon in terms of overall capacity, with 7.9 gallons, and the plastic is much heavier duty. FastFerment is a widely popular choice for homebrewers and won a few awards for their unique wall-mounted design (wall mounts are included). If you’re not a fan of equipping your walls with a bunch of weird looking fermenting beer pods, you can buy a stand separately for 20 bucks or so. The wide-mouth opening makes dry hopping a breeze, but perhaps the best design is the yeast collection ball at the bottom. This can be removed to extract the trub and yeast so you can re-use it, all while your beer remains in the top portion. In addition, a bottling wand attachment is included. Once again, we’re taking another step up in terms of durability from the last one (and also appearance… this thing looks BA). The stand on the Catalyst is way more durable for table-top applications and I definitely prefer the clear plastic so you can see the magic happen. The large 3″ Trub Trap is designed to fit any wide-mouth canning jars, which is the perfect vessel to keep the trub in if you plan on re-using. It’s probably no surprise that you’re seeing an Ss Brewtech product on here. The company consistently delivers professional-grade gear for homebrewers, and their fermenter is no exception. At a glance, you may not even realize it’s a conical design and think it’s just a standard bucket fermenter, but it does include a conical base. The difference here is that you will be required to rack the clean beer, whereas the previous 3 fermenters can remove the sediment beforehand. If you don’t mind racking the beer, then there is no beating the durability and better sanitization of 304 stainless steel. Got money to spend? Spend it on the Grainfather Pro Edition conical fermenter. 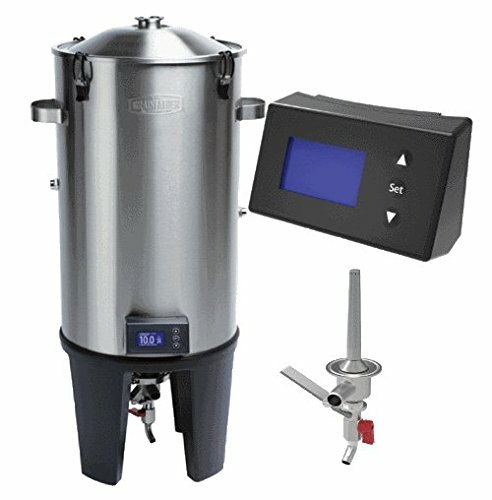 This also uses heavy duty, double walled 304 stainless steel but includes MANY more features than your standard fermenter, including an integrated 30W heating element, cooling sleeve, and digital temperature controller. The huge opening makes cleaning and dry hopping incredibly easy and this is also scalable with a number of add-ons and accessories. Some of the advantages of conical fermenters compared to their cylindric carboy counterparts is conical fermenters are what they call a “uni-tank”, meaning that homebrewers can conduct the primary fermentation as well as the aging process in the same tank. With a flat bottom carboy fermenter one has to transfer to another fermenter in order to separate the sediment that settles at the flat bottom for the beer to age properly. Contrary, the conical fermenter can be flushed of the settled sediment by slowly releasing the valve at the pointed bottom which lets the sediment out while leaving the fermented beer behind. Another great benefit and advantage of the conical fermenter is the ability to remove yeast and sediment from the beer easily and at any desired point in the fermentation process. With this advantage, a home brewer can reuse the yeast by collecting the yeast and washing it. This process helps save home brewers money on the long term view by using the same yeast for several batches. 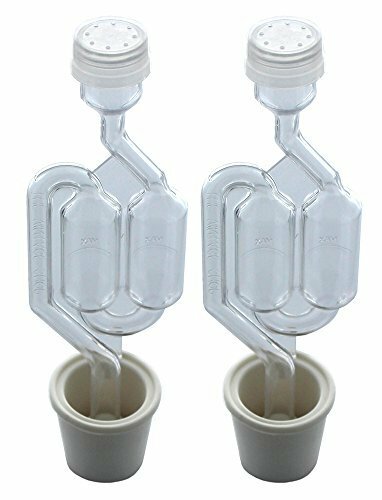 Since one can use the conical fermenter for both the fermentation as well as the aging process, the need for a siphon for transferring wort into another bucket is unnecessary which saves both money and time. As long as the fermenter is higher than your bottles or keg and with the valve at the bottom, brewers can easily transfer their wort by utilizing gravity into their bottling/kegging vessels. Some of the conical fermenters also come with closed tops which allows a brewer to apply Co2 pressure at the top to help force the beer at the bottom to transfer as well. When purchasing a conical fermenter it is best to purchase one that is stainless steel as it easy to clean and tends to last an extremely long time as long as one takes care of it properly. 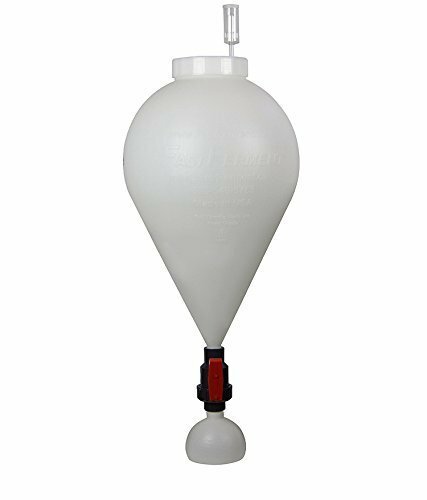 Also, another factor to be on the lookout for when purchasing a conical fermenter is an airlock on the top that helps relieve pressure during fermentation, and makes it easier to draw sediment from the bottom. Some things to watch for when using a conical is during the process of drawing off yeast and sediment, making sure that you remove all of it before trying to brew another batch. The yeast and sediment can many times stick to the side of the cone and should be gently nudged to get out. The conical system ultimately helps home brewers not only look professional, but actually brew up like a professional brewery. This system is sure to not only enhance and improve your brewing experience and production, but also help improve your image in front of neighbors and friends. 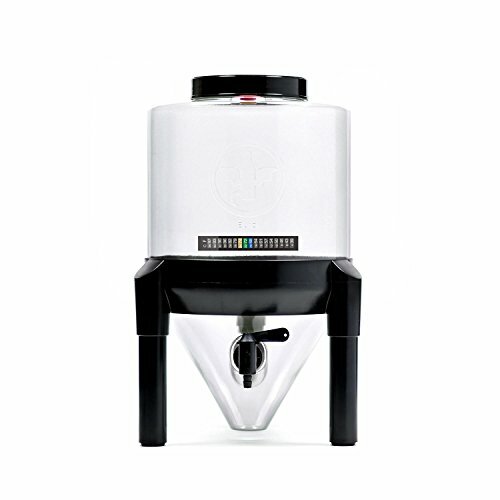 You can purchase conical fermenters ranging from an array of sizes and prices at your local home brew shop where you can find out more information and recommendation from the home brewing staff, or check online to find exactly what you want, just make sure to research and narrow down accordingly.